but how he finds subtlety and depth in the film’s quieter moments. informing genre blood sport with pulp transcendentalism. has a promising future ahead of them. and is among the movie’s credited chefs. There’s more than a little raw skill on display. There’s a confidence and energy to Stray Bullets. “clearly not just some kid screwing around with a camera. A pretty great crime film. at age 16 is quite simply remarkable. I now eagerly await what Jack has got up his sleeve next! delivering an impressive debut with an equally impressive score. I’ll be watching this young man’s progress. While shooting Stray Bullets, Jack Fessenden—the film’s writer, director, composer, and co-star—was 16 years old. Filmmaking at any age or level of confidence is remarkable, but Fessenden’s accomplishment is particularly impressive, as he sidesteps many of the clichés and uncertainties that mark the efforts of neophytes, especially when working in the crime genre. Crime films have a tendency to encourage young filmmakers to insecurely posture themselves as too cool for school—to take refuge in references to other films while staging violence callously for cheap and shrill shock effects. Fessenden astutely recognizes his limitation of experience and tailors a film specifically to reflect and accommodate it, often incorporating ellipses that reflect the unformed point of view of young protagonists. The film follows a classic crime-movie structure, setting up a few disparate narratives that will unite, of course, in a violent climax. In the primary thread, we follow Ash (Asa Spurlock) and Connor (Fessenden) as they screw around one morning, stealing a paintball gun, wandering the woods, flirting with girls, and putting off the work that Ash’s father, JT (Robert Burke Warren), has assigned them, which involves cleaning out a dilapidated trailer. In the secondary story, a gang executes a robbery that goes awry. Cody (James Le Gros), Dutch (John Speredakos), and Charlie (Larry Fessenden) steal a suitcase from a gangster, and head off into the woods, as Charlie gradually dies in the backseat of their getaway car from a gunshot to the gut, in a series of sequences that somehow never quite quote Reservoir Dogs. It doesn’t take an astute viewer to figure out where Cody, Dutch, and Charlie are heading. What distinguishes Stray Bullets from so many other low-budget crime films is Fessenden’s sense of quietness. The filmmaker lingers on images, informing them with inchoate dread as well as a talismanic sense of wrongness. When JT runs into another father in a country store, they exchange pleasantries with curt, pleading facial expressions that fill in a wealth of implicated backstory within a matter of seconds. Ash and Connor’s frequent fondling of the paintball gun in the early scenes is contrasted heavy-handedly yet effectively against the adult gunplay of the other story, clearly foreshadowing later events. As a filmmaker, Jack owes a significant debt to the beautifully, evocatively scruffy films of his father, Larry, who also serves as cinematographer here, bathing Stray Bullets in autumnal light that connotes loss of innocence, as Ash and Connor amble toward a trap. Fessenden displays a sense of parred authority that would be impressive for older, more experienced artists. The robbery that sets the second narrative in motion is framed through an alleyway that runs toward us almost three-dimensionally. We hear gunshots in the background, near the back of the alley, and the crooks gradually rush toward us to the front of the street. There’s a brief, strikingly horizontal gun battle, and the robbers are off in their car—a potentially intricate set piece reduced to a few evocative gestures. The dialogue is similarly efficient, most notably the conversations between the bad guys, who don’t speak Tarantinoese but talk simply of the action behind and ahead of them with escalating desperation and panic. Cody has particularly memorable agency, with a clipped vocal delivery and pregnant physicality that simultaneously communicate suspicion and strange compassion. At one point, a criminal tells a compatriot not to fire his gun because the other guy’s just going to shoot back anyway. This display of common sense is remarkable in a macho genre that often prizes aggression as sensory stimulation above all, and it indicates a refreshing respect for human life that resounds throughout the film. (When innocent bystanders are killed in the haunting climax, their deaths are allowed to matter as violations against an ideal order.) Stray Bullets reduces a stock scenario to its primal essence, informing genre blood sport with pulp transcendentalism. She’s a beauty,” sixteen-year-old Connor says to his friend Ash as they gaze upon the glory that is their newly purchased paintball gun. Some things are just a rite of passage for teenage boys, like their first hostage crisis. Frankly, sixteen-year-old (at the time of production) Jack Fessenden looks far too young to have experienced his first standoff with desperate fugitives, but as the son of fan favorite horror actor-director Larry Fessenden, he has probably spent so much time on film shoots, his directorial debut was almost overdue. Of course, he got a few assists from his father, who served as cinematographer and co-star of his son’s Stray Bullets (trailer here), which opens this Friday in New York. It is summer, so Ash and Connor would like to just fart around with a paintball gun and flirt (awkwardly) with girls. Connor would be entitled to the day off, since he works for real at the local garage. Yet, he has agreed to help Ash (a stranger to productive employment) clean out the family’s camper in the woods, at his father’s request. Meanwhile, in the nearest crime-ridden big city, a trio of low-life crooks are biting off more than they can chew. They intended to rob a gangster they had previously done business with, but they did not expect him to be so ornery and well-armed. Needless to say, it is not a clean getaway. In fact, it will not be a getaway at all for the slowly expiring Charlie (played by Fessenden père), unless he gets medical treatment soon. Naturally, they will hole up in the very camper the lads are supposed to clean. Sixteen is disgustingly young, even by the standards of the silent era, but J. Fessenden’s instincts are right on target. Rather than trying to be hipper than hip, he dials the film down to a level of earthy honesty. In fact, Fessenden’s hand only gets heavy in the closing moments, when he feels it necessary to beat us over the head with the title’s meaning. Presumably, he has seen most if not all of the thirty-seven thousand films his dad has appeared in, but we might hazard a guess that Kelly Reichardt’s recently restored River of Grass held the greatest influential sway over Stray. Both films have a pungent, tactile sense of place and to varying degrees, they de-emphasize the crime drama (presented almost tangentially in River) for the sake of character development. 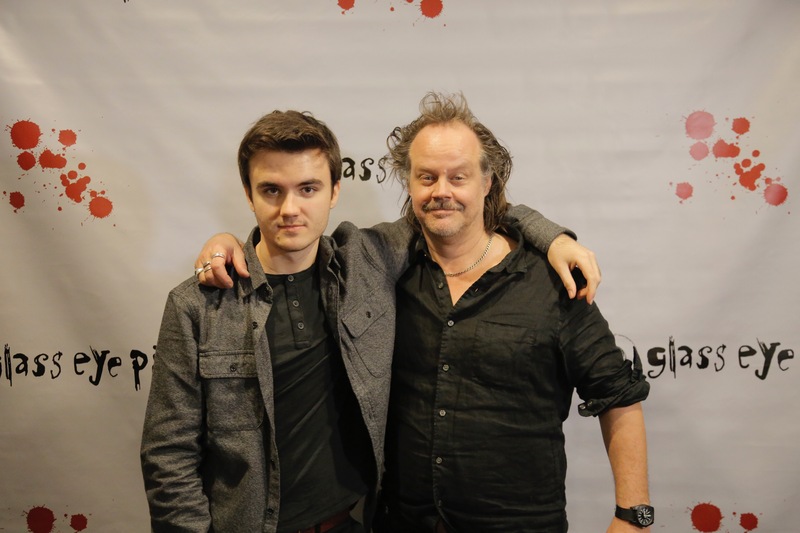 Young Fessenden is also pretty solid as responsible Connor and his father is terrific as bleeding-out Charlie. Granted, most of his screen time is spent in the backseat of the getaway car, but that still afforded him greater range of movement than what he had in Dan Berk & Robert Olsen’s Body. Asa Spurlock us a bit cringy as Ash, but it is always a kick to watch seasoned pros like James Le Gros and Kevin Corrigan do their thing as the unstable getaway driver and the hitman chasing after them. Stray Bullets should absolutely not get dismissed as a vanity production or a manifestation of misplaced parental enthusiasm. Even if you see a lot of genre films over the course of a month it still holds up quite well. Recommended for those who appreciate crime drama with coming-of-age resonance, Stray Bullets opens this Friday (2/10) in New York, at the Village East. 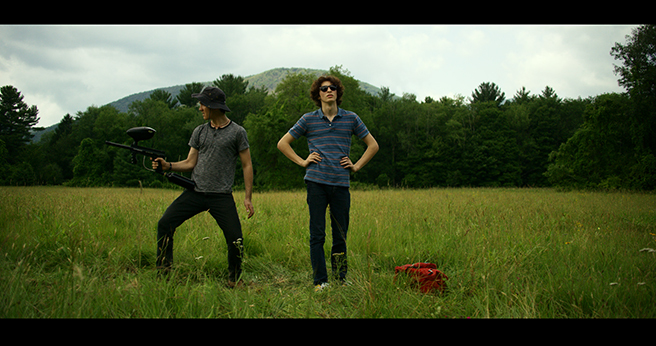 Two teens are taken hostage by fleeing criminals in young director Jack Fessenden’s debut feature. Major allowances would normally be made for any movie made by a 16-year-old. But in the case of “Stray Bullets,” a polished first feature from teenager Jack Fessenden, fairly minor ones will suffice. Though this suspense drama about two small-town youths who run afoul of fleeing big-city criminals feels a couple story beats short of a satisfying whole, it’s admirably well-crafted within its mostly savvy limitations. The film opens Feb. 10 in 11 U.S. cities. Fessenden is the son of actor-turned-busy indie producer and sometime writer/director Larry Fessenden (“The Last Winter,” “Wendigo”), who not only plays an onscreen role here but serves as DP. It’s also dad’s connections that doubtless coaxed a number of veteran performers he’s worked with in the past to join the project, and none of them treat this assignment as a favor-among-friends lark. 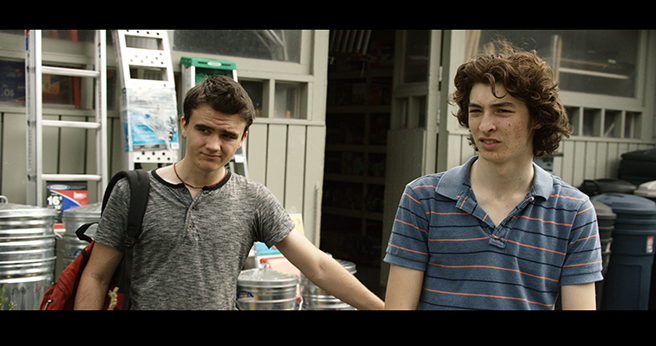 Ash (Asa Spurlock) and Connor (the junior Fessenden) are teen besties aimlessly kicking around their sleepy upstate New York neighborhood on a summer’s day — one somewhat enlivened when they get their hands on a paintball gun. Unknown to them, heading their way with some very real guns are three middle-aged hoodlums on the run from a job gone bloodily wrong in Brooklyn. 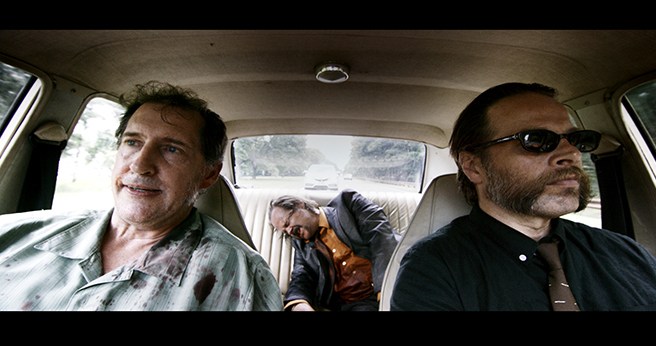 Now driving north in a vintage Dodge Dart are the badly wounded Charlie (Fessenden Sr.), stammering nice-guy Dutch (John Speredakos) and not-at-all-nice Cody (James Le Gros). While Charlie has been the group’s boss for more than 20 years, his increasingly desperate condition allows hot-tempered Cody to seize the reins. When their car breaks down in the middle of nowhere, the trio have to decide what to do — including whether to risk getting medical help for Charlie — and opinions among them sharply differ. Thus when the two boys reluctantly show up at a trashed trailer home that Ash’s father (Robert Burke Warren as JT) has tasked them with cleaning, they discover it already has some visitors — armed and dangerous ones not at all happy to have additional company. It’s at this midpoint, when the young protagonists are taken captive, that the film gets more interesting, even as it begins to fall short of its potential. “Stray Bullets” was conceived as a half-hour short, and by its underwhelming fade-out, it becomes apparent that the young Fessenden didn’t develop his ideas quite enough to sustain a full-length feature. The hostage situation is compelling, but apart from one jolting moment, it doesn’t create as much tension or unpredictability as one might hope for. The most notable narrative twist — revealing that one small-town character here has a preexisting relationship with the fugitives — comes late and raises many intriguing questions, virtually none of which are answered. The film swiftly shifts into an action mode, then abruptly ends after a semi-successful stab at a stylized-shootout climax. The teen leads are OK, but they’re not given enough character detail considering the amount of time we spend with them before the plot turns. (In particular, their relationship with their parents — and JT’s relationships with everybody — are implied sources of conflict that are given no further attention.) The adult performers, who also include Kevin Corrigan as a pursuing hitman, do a better job filling in the blanks of otherwise stock characters. Pa Fessenden is particularly good as a figure whose scrappy, sardonic personality is only amplified by excruciating pain and looming mortality. He also does a fine job with the widescreen lensing, his first feature DP gig since some very early noncommercial directorial projects in the 1980s. 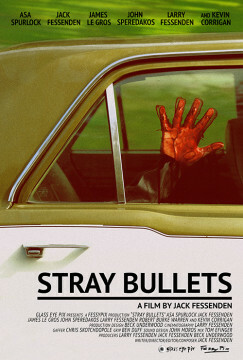 Indeed, “Stray Bullets” is so nicely turned in its technical and design departments — including the young writer/director’s original score — that the ultimately somewhat undernourished scenario feels like more of a minor letdown than a major failing, with a result that is confidently entertaining if unmemorable. Clearly, anyone who can pull this much off at 16 (Fessenden’s age when the film was shot) has a promising future ahead of them. “Stray Bullets” feels as if it were made by a capable high schooler, and that’s not a slight. Indeed, the director, Jack Fessenden, had to juggle “trigonometry homework or my ‘Canterbury Tales’ reading” with his moviemaking responsibilities, he says in his production notes. He was all of 16 when he finished this crime tale. In the plot, Ash (Asa Spurlock) and Connor (Mr. Fessenden) are held captive after stumbling upon three crooks hiding out in a somewhat secluded trailer. One of those bad guys, Charlie (Larry Fessenden, the director’s father, who is also the cinematographer), has been shot, and a maniacal hit man is determined to fill him and his accomplices (James Le Gros and John Speredakos) with more lead. The project’s back story is often more interesting than what plays out onscreen. 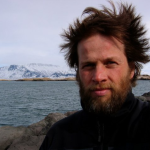 The young Mr. Fessenden is credited as writer, director, actor, editor and composer; he put the movie together with the help of friends, props found on Craigslist and his father’s small production company. His script features a hint of tension and some dry humor. Those qualities aside, there’s no getting around an ending that unspools in cheesy slow-motion, or several illogical scenes that meander. It’s unsurprising to learn that “Stray Bullets” was first planned as a 30-minute film; conversations seem drawn out, names are constantly repeated, and plot threads lead nowhere, as if to fill time. Still, Mr. Fessenden’s ambition is admirable, and there’s more than a little raw skill on display. If this, his first feature, isn’t always worth recommending, his talents are certainly worth encouraging. 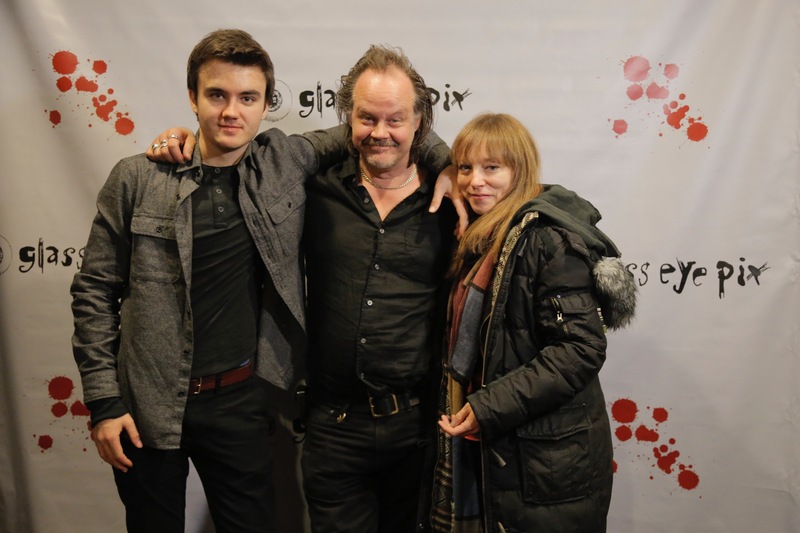 rue family project, the low-budget crime picture “Stray Bullets” was co-produced by indie cinema hero Larry Fessenden with his wife, Beck Underwood, and their son, Jack. The elder Fessenden also handles the cinematography while Underwood is the costumer and production designer. And Jack? He directs his own screenplay and stars. He’s also the editor, and wrote and performed the score. And by the way … he’s 16 years old. The auteur’s age, precociousness and pedigree automatically make “Stray Bullets” an item of interest, although fans of the Fessenden clan will be pleased to know that the movie’s also pretty entertaining and only a little bit amateurish. The younger Fessenden and Asa Spurlock play bored teens who are planning to spend the day in the New York countryside goofing off with a paintball gun, when they find themselves pinned between three mob fugitives (Larry Fessenden, James Le Gros and John Speredakos) and a hit man (Kevin Corrigan). The film has echoes of “Cop Car” and “Mean Streets,” mixing comic juvenilia with earthy violence. 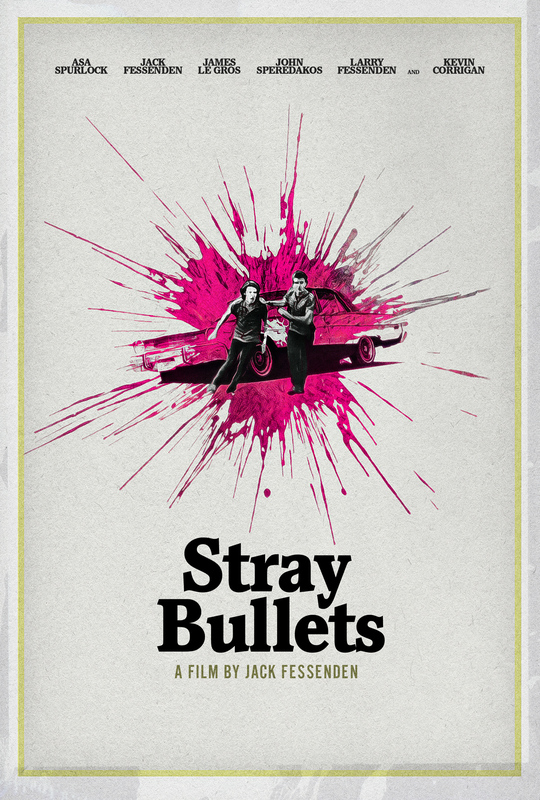 Plenty of first-time feature filmmakers have combined grubby genre kicks with more personal concerns; but there’s a confidence and energy to “Stray Bullets” that compensates for the rather rudimentary, over-familiar story. Fessenden actually seems to have a point here too, about how a steady bombardment of R-rated media has numbed adolescents like himself. It’ll be fun to see what what he has to say about his generation when he reaches the ripe old age of 20. It’s been about a decade since the release of The Last Winter, the last feature indie horror auteur Larry Fessenden (Habit, Wendigo) wrote and directed, but he certainly hasn’t been idle over those years. 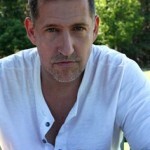 He’s worked as a character actor, with roles in dozens of independent features and shorts; served as producer or executive producer on a similarly large number of projects; and directed short films, episodic TV, music videos and a feature he did not write (Beneath) for the Chiller cable channel. He also worked on the screenplay adaptation of the Spanish film, The Orphanage, for a planned American remake and was slated to direct it until a casting dispute led to his departure. And he made a mark in a different medium, partnering with Glenn McQuaid (I Sell the Dead) to create a terrific audio anthology series, Tales from Beyond the Pale, which he also contributes to as a producer, director, writer and actor. Well, the wait is over. 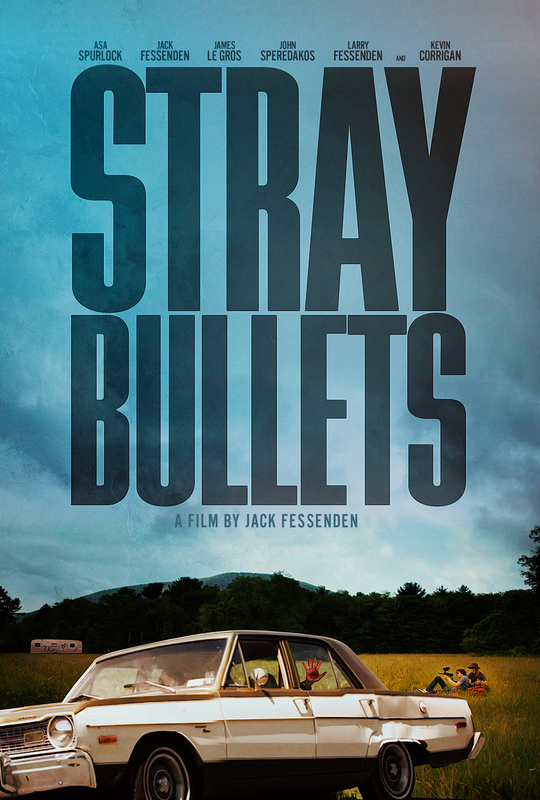 The new Fessenden film, Stray Bullets, is here. 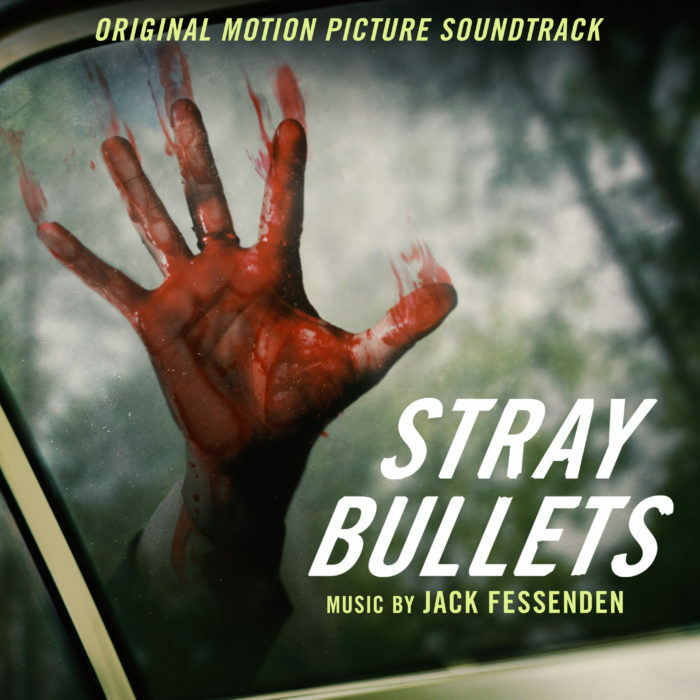 But hold on…Stray Bullets isn’t a Larry Fessenden movie; it’s a Jack Fessenden movie. Jack is Larry’s son, who was all of 15 years old when he made this familiar but efficient, and fairly entertaining crime thriller. The plot is reheated, meat-and-potatoes genre stuff: a couple of kids stumble into the path of three criminals on the run and end up in the middle of a bloody battle between rivals. The teenagers are played by young Fessenden and Asa Spurlock, while the bad guys are brought to life by some actors with considerably longer résumés: James Le Gros (Drugstore Cowboy, Point Break, Certain Women), John Speredakos (I Sell the Dead, The Mind’s Eye), and proud papa Larry himself. The wildly underappreciated Kevin Corrigan (GoodFellas, Big Fan) plays the raging gunman pursuing the trio. 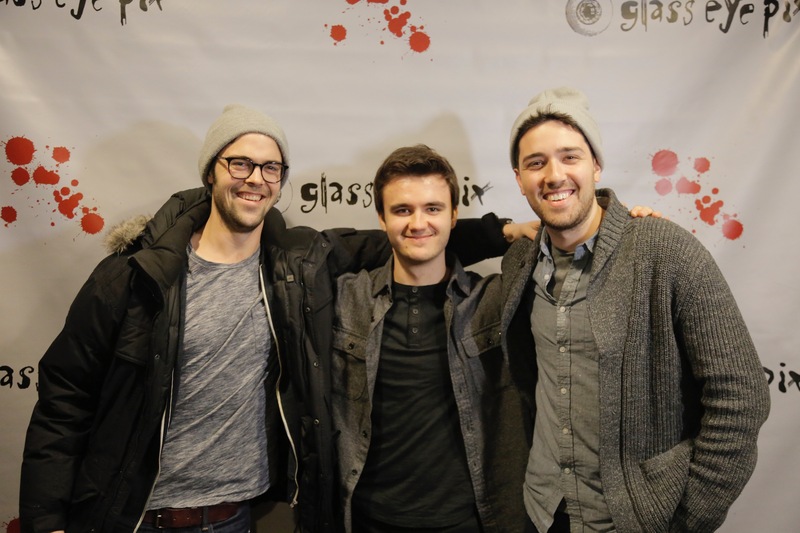 Along with this veteran cast—all alumni of various projects by the elder Fessenden—Jack Fessenden also had access to a fairly experienced crew through connections to his dad’s production company, Glass Eye Pix. Larry also served as cinematographer and mother Beck Underwood was the film’s production designer. 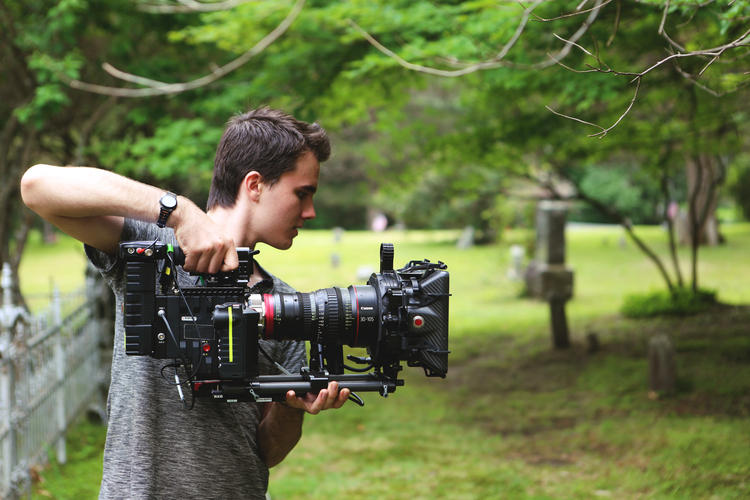 These are all advantages most new filmmakers don’t have. So, is Stray Bullets just a family vanity product? I don’t think so. While we can’t know how much impact Larry had as D.P. on the look of the film, his son seems to have a knack for compelling visual composition—something many pros working on mega-budget productions lack. The movie makes excellent use of its widescreen dimensions and there are interesting visual touches throughout. The image of a dog manically whipping around a toy clenched in its mouth and the dramatic shot introducing Corrigan’s character stand out among several memorable details. There are a few directorial stumbles, including a groan-worthy use of “Ave Maria” during a climactic bloodbath, but many more moments of genuine stylistic finesse. 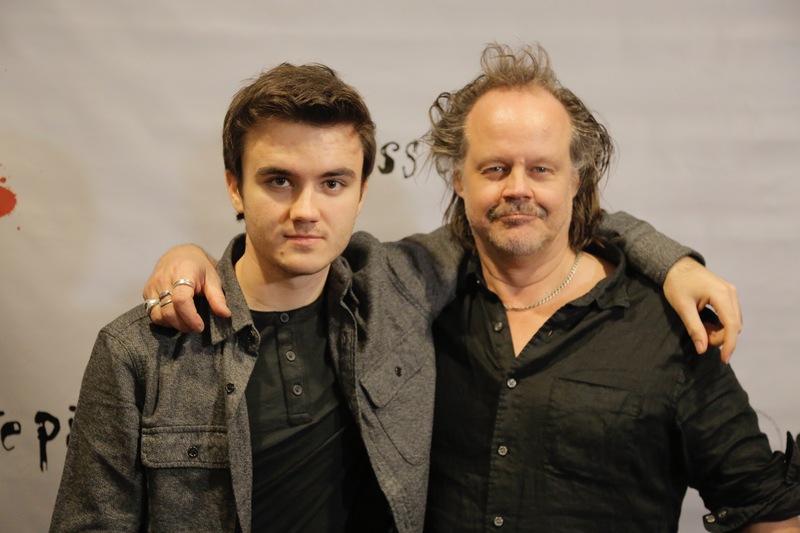 And based on some film-savvy interviews the younger Fessenden has given, I really don’t think he’s trying to pass off his dad’s talents as his own. While Jack Fessenden shows he’s already an assured image-maker, he’s got a ways to go as a screenwriter. The crooks here are broad genre archetypes, without the benefit of the kind of clever dialogue that can lift those roles above clichés. Le Gros seems ready to play the badass but never really gets to cut loose. 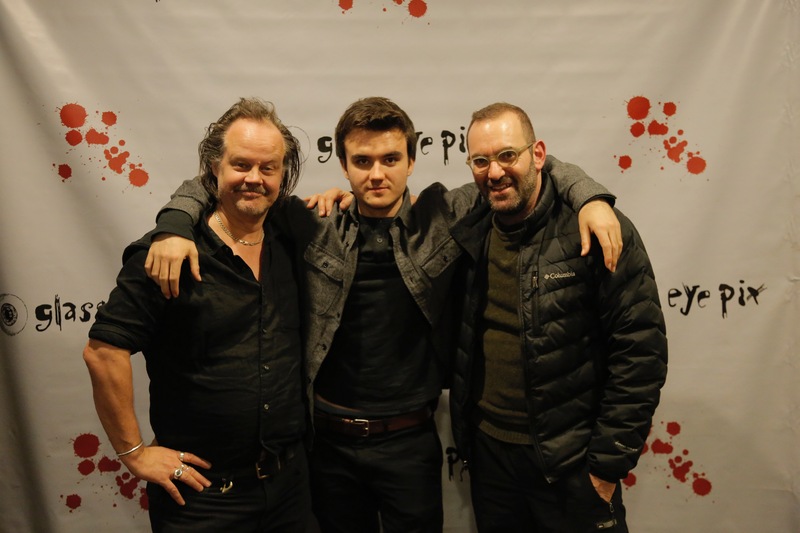 Larry Fessenden is plenty colorful as the trio’s profusely bleeding leader and Speredakos does what he can as a sensitive crook with a stutter, but like Le Gros, they seem to be trying to force some personality onto underwritten parts. Only Corrigan comes close to seeming like an authentic menace. Stray Bullets certainly does not announce Jack Fessenden as a new Mozart of moviemaking. Far from it. But he’s also clearly not just some kid screwing around with a camera. Putting his pedigree aside, he makes the case that he is a director worth keeping an eye on. Stray Bullets. Written, directed and edited by Jack Fessenden. Cinematography by Larry Fessenden. 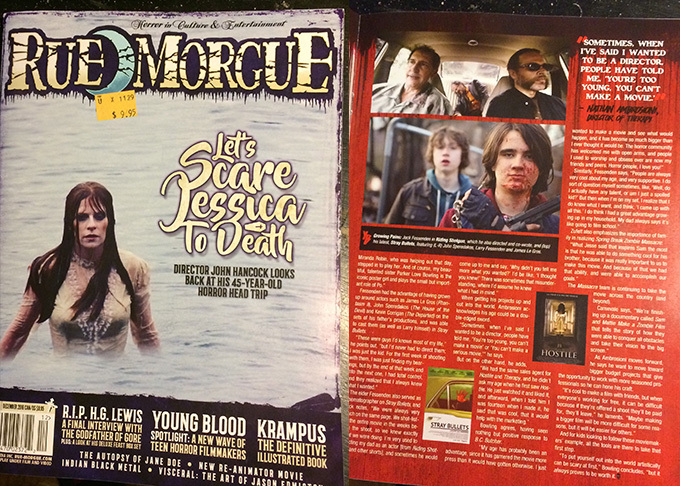 Starring James Le Gros, John Speredakos, Larry Fessenden, Kevin Corrigan, Jack Fessenden and Asa Spurlock. 83 mins. No MPAA rating. Opens Friday, February 10 at Facets Cinémathèque. 17-year-old filmmaker Jack Fessenden’s directorial debut isn’t just significantly better than what you’d expect from a 17-year-old’s directorial debut, it’s also one of the most intense films to be released thus far in 2017. 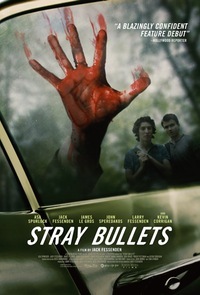 Mixing familial drama with grim thrills, Stray Bullets finds teenagers Connor (Fessenden) and Ash (Asa Spurlock) head into the woods to clean out a mobile home belonging to Ash’s father, only to discover that it has been taken over by three criminals (James Le Gros, John Speredakos, and Fessenden’s real-life father, Larry). But instead of a fast-paced shoot-’em-up, Stray Bullets is a methodical character study about the relationships between adolescents and adults, between children and their parents, between employers and employees, and between citizens and their community. Much of the running time is dedicated to watching Connor and Ash stroll around town, taking their sweet time to get to their destination. They stop to flirt with some girls, fire some paintball guns, and other forms of relatively harmless fun. Meanwhile, the trio of crooks anxiously travels toward the mobile home in sheer desperation. The juxtaposition is obvious but intriguing nonetheless, especially due to where the film eventually ends up. Though his filmmaking style is a far cry from that of his father, the subtly moral nature of Jack Fessenden’s debut is wholly reminiscent of Wendigo and No Telling. If there’s one thing that Stray Bullets has in spades, it’s a strong voice — and the film isn’t afraid to die by its own sword. Thankfully, the film actually works quite well. Fessenden takes his time building tension and allowing the characters to develop, but it’s not a boring film by any means. Punchy dialogue and a few moments of levity keep the pacing relatively tight. Perhaps the most interesting aspect of Stray Bullets, though, is the fact that it feels extremely violent without ever becoming all that violent. Utilizing dread and suspense the way most other crime thrillers would use shootouts and car chases, the film comes across as being extremely graphic, but it actually isn’t. While there’s a decent-sized body count for such a small cast, the onscreen deaths appear intentionally tame. It’s possible that this is the case in order to market the film to a wider audience, but that seems unlikely. It feels much more like a creative decision in order to help shape the film’s peculiar tone. See, much like his charming protagonists, Fessenden approaches increasingly harsh subject matters with wide-eyed optimism. As intense and dangerous as the situations in Stray Bullets become for both Connor and Ash, there’s an overwhelming sense of hope present in the film that you rarely see in gritty, independent cinema, and it miraculously never comes across as being tacky. Falling somewhere between arthouse drama and genre cinema, Stray Bullets is a deceptively bold film and as good a directorial debut as I’ve seen lately. It’s now evident that ambitiousness runs in the Fessenden family, and it’s going to be very interesting to see where Jack goes from here. A 16-year-old director makes a pretty great crime film. Kids these days, amirite? One of today’s kids who seems all right is Jack Fessenden, whose first feature film Stray Bullets is far better than a feature film written, produced, and directed by a 16-year-old has any right to be. 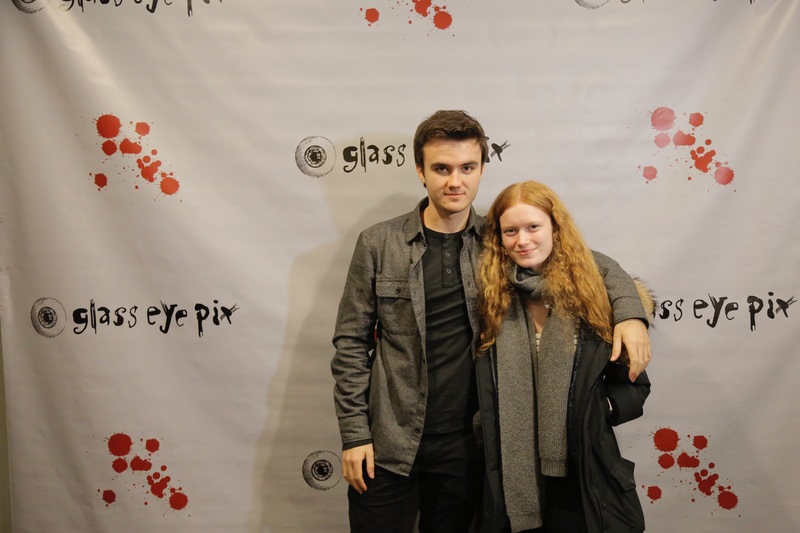 Granted, he’s the son of legendary Z-movie director Larry Fessenden — who also co-produced and served as the cinematographer — so he had a leg up that most teenagers (and adults) lack. But the final product is a tight little genre picture by any standard. Connor (director Fessenden) and his paintball-loving buddy Ash (Asa Spurlock) are teenagers who get tangled up with on-the-run criminals Cody (James Le Gros), Dutch (John Speredakos), and the wounded Charlie (the elder Fessenden), unaware that Ash’s father (Robert Burke Warren) is an old partner of theirs. Stray Bullets makes no attempt to reinvent the crime-film wheel, and two decades ago, it might have been dismissed as a Tarantino clone (especially the early scenes as Charlie bleeds out in the backseat of a car). But the young Fessender has his own voice, and develops a strong enough sense of place and tone that even the many walking scenes don’t feel like padding. This youngster might well make some terrific movies once he’s old enough to vote. 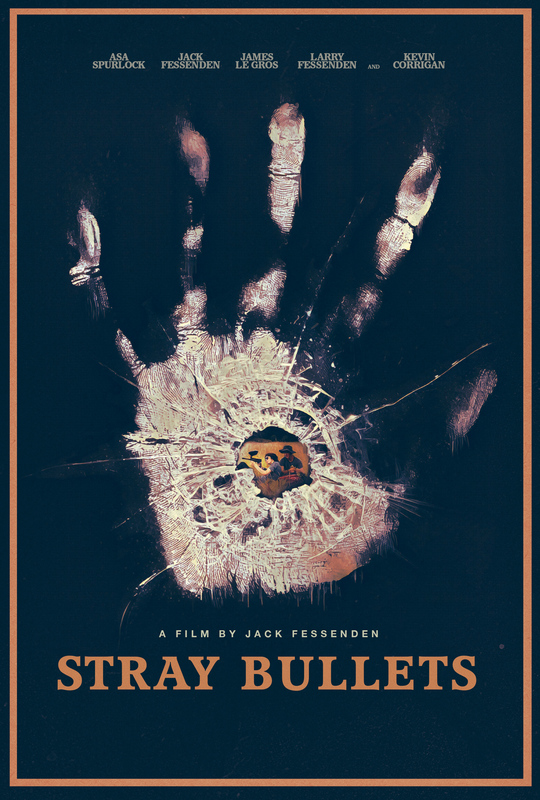 Stray Bullets is the feature directorial debut of sixteen year old Jack Fessenden, whose father is the well known veteran actor Larry Fessenden. At initial glance, one might suggest that this is a form of nepotism and that the young director is simply having things handed to him. It’s tough to make that argument after watching Stray Bullets, which was written, directed, edited, scored, and co-starred the young Jack Fessenden. It is a dialed down character driven crime drama that is a solid debut for a director of any age, let alone one that is only sixteen. The story involves a pair of teens tasked with cleaning up an old trailer, only to run into a trio of criminals on the run after a botched job leaves one of them critically injured. The narrative parallels well known crime genre films such asReservoir Dogs, but is able to sidestep them with its youthful coming of age tale and a realistic approach to the dialogue and situations. While most astute viewers will have a pretty good idea of what will happen at the end, it’s the character building and relationship dynamics created along the way that make this an interesting piece of work, especially for a teenage filmmaker. It helps that he has his father’s vast selection of motion pictures to use as a reference, along with his assistance as an actor and cinematographer on this. One thing that is particularly impressive is the world that Jack has created and the collection of fascinating bad guys that inhabit it. They are people that demand more screen time and easily could be featured in additional movies in the future. The acting is exceptional and that should be expected from a host of career actors, most notably James Le Gros, John Speredakos, and Larry Fessenden. Their performances as the trio of criminals have a great deal of depth to them, bringing us characters that are more than just bad guys and ones that you can gain an emotional attachment to. Kevin Corrigan has a small role as a crazy hitman, yet it’s memorable and impactful. 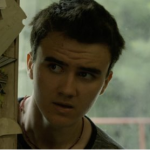 Asa Spurlock is commendable as the teenage counterpart to co-star Jack Fessenden, who takes on more of the dialogue and interactions for the duo. The directing is outstanding and there should be no doubt that the young filmmaker is more than qualified to handle the immense tasks that were before him. It is most reminiscent of the cinema verite style, focusing on more realistic camera shots and editing in specific scenes. There are still plenty of sequences that feature extensive camera movement and staging, delivering some truly excellent and unforgettable scenes. The cinematography and locations add to the more grounded and realistic look of the picture, with the scenic and lush greens of upstate New York, the rundown buildings of a small old town, the 1974 Dodge Dart, an old mobile home, and the auto repair shop with old parts piled up. The score takes a minimalist approach and ends up opting for the natural sounds of the environment more often than not. When it is present, it is mostly a simple blend of acoustic and electric guitars, piano, and bass that subtly adds to the tone and doesn’t completely overshadow anything. While there is some violence, it is not a movie that is driven by that violence. So don’t go expecting the next John Wick, because you will be sorely disappointed. Instead, this is a devoted character study that most fans of the crime genre should enjoy. Either way, there is no doubt that Jack Fessenden is a directorial name that we should we be tracking for years to come. 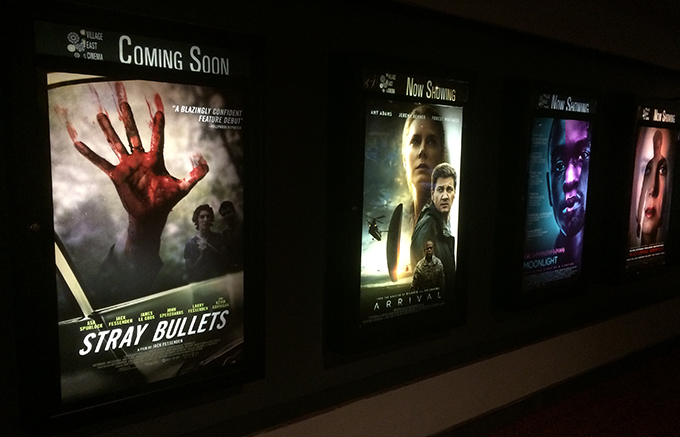 Stray Bullets will have a limited theatrical release and will also be available on VOD beginning on February 10th. In most instances, a filmmaker’s age is irrelevant when discussing the merits of their work, but it’s impossible to view Jack Fessenden’s Stray Bullets with detached objectivity when aware he was 15 years old during the shooting and 16 when the film bowed to ticket buyers. An enjoyably blood-soaked thriller with unexpectedly lyrical interludes—made very much in the shadow of classic genre forebears and on what was clearly a constrained budget—this is a strikingly impressive calling card. It’s a mark of Fessenden’s freakish precocity that the picture would doubtless secure numerous midnight-slot festival bookings and additional small-screen exposure even if programmers and buyers knew nothing of his extreme youth. 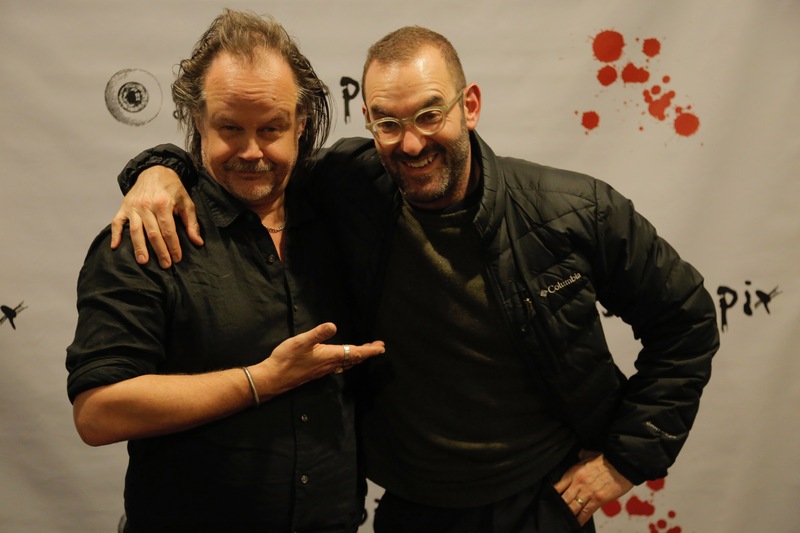 As it is, the film has a unique marketing hook that will doubtless be exploited to the max by Fessenden’s dad Larry, a very shrewd operator with decades of indie-biz experience under his belt. Guinness World Records lists Nepalese seven-year-old Saugat Bista as the globe’s youngest feature director, but Fessenden appears to be unchallenged in terms of the English-speaking world. Starting early is clearly in the genes: The elder Fessenden also was 16 when he made his first film, the four-minute Super-8 road-movie The Eliminator (1979). Barely seen until released on a compilation DVD decades later, this was a shaky first step on a busily prolific career that has included acting jobs for Martin Scorsese, Kelly Reichardt, Joe Swanberg and many others, plus numerous outings as director and/or producer. He plays an eye-catching supporting role and serves as DP here, with his wife Beck Underwood overseeing production design and costumes. Their offspring, however, receives sole credit for directing, writing, editing and for composing and arranging the atmospheric score (performing keyboards, guitar and percussion) and is even listed among the production’s five chefs. Yes, Jack cooks, too. Fessenden, who has been honing his craft on shorts for several years and appeared in his dad’s Wendigo (2001) and The Last Winter (2006) as a tot, is clearly more than capable on all creative fronts—even if his acting chops currently fall a little short of his behind-the-camera talents. But that isn’t much distraction, as his connections have landed him a slew of hugely experienced character actors, including top-billed James Le Gros and the more fleetingly glimpsed Kevin Corrigan. Among the fresher faces, Asa Spurlock—who bears a striking resemblance to Ezra Miller—is the standout as Ash, a soft-spoken and sensitive sort who spends most of his free time with his brasher best pal Connor (Jack Fessenden). After larking around in the woods near their home in an unspecified corner of rural upstate New York, the duo stumble into the clutches of three desperate gangsters. The criminals (Le Gros, Larry Fessenden and John Speredakos) have fled New York City in the messy wake of a shootout, with an implacable hit man (Corrigan) close on their heels. Fessenden switches smoothly back and forth between Ash and Connor’s bucolic escapades with a stolen paintball gun and the gangsters’ profanity-laced exchanges in their speeding car as the elder Fessenden’s Charlie bleeds out on the back seat. Innocence and experience duly collide in the second half, but the screenplay delivers a few nicely unexpected developments—including one seriously shattering left-field jolt—in a film which foregrounds character and dialogue ahead of slam-bang pyrotechnics. When push comes to shove in the final reel, however, the helmer stages the inevitable gunplay with persuasive brio—aided by special makeup effects by seasoned maestro Brian Spears. Leaping far beyond the occasional rough edges of his opening scenes, the filmmaker really hits his stride in these latter stages, deploying slow-motion in a mature, sparing fashion and making particularly effective use of his own haunting, guitar-heavy score. Indeed, on this evidence, Fessenden could probably pursue a career in music if the challenge of filmmaking palls. Anyone invested in the art form’s future, however, will firmly hope he can go on to emulate the likes of Don Coscarelli and Xavier Dolan, for whom teenage kicks augured accurately for achievements to come. Sure, there are lots of high-school kids making movies—they’re shooting on their phones and posting to YouTube, doing mini-projects for class, or even borrowing a DV camera and making little scripted vignettes. And anyone who cares knows that Steven Spielberg started out making 8mm pictures in his backyard—look where he is now. But Jack Fessenden, son of independent writer/director/producer/actor Larry Fessenden and art director/production designer/animator/artist Beck Underwood, wrote and directed the theatrical feature Stray Bullets—a lean, character-driven thriller about the aftermath of a robbery gone wrong—when he was only 15. Scheduling a time to interview him involves working around his academic schedule because he’s a high-school junior. And to all appearances, a strikingly grounded, sensible one as well. And while Stray Bulletsis his first feature, it’s not his first movie; he began to “take filmmaking seriously” in 2013, when co-wrote and directed a half-hour horror picture called Riding Shotgun, inspired by Jim Mickle’s post-apocalyptic vampire feature Stake Land, one of dozens of films produced and/or distributed wholly or in part by his father’s prolific Glass Eye Pix (which celebrated its 20th anniversary in 2015), including his own Wendigo (2001) and The Last Winter (2006), in which Jack appeared. 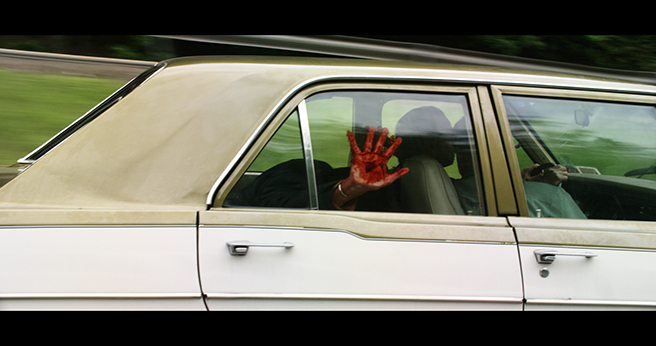 “I shot [Riding Shotgun] in March,” he continues, “and in October it premiered at the Woodstock Film Festival. After that I made The Adults and Pranks, also short films. Both of them showed at Woodstock as well, but they didn’t go any further… Unfortunately, short films are sort of destined for YouTube and Vimeo rather than any sort of theatrical experience. And they pitched in with advice and support born of their own experience as working artists. Jack’s father told him that since he was a musician—Jack began studying piano at six and went on to guitar, drums and bass—he needed to compose his own score “because real music costs money; you have to get the rights and if you don’t have the rights, you can’t sell your movie. None of which diminishes Jack’s achievement, Yes, his home was a supportive, immersive film school and he grew up watching young filmmakers ranging from Kelly Reichert to Ti West benefit from his father’s mentoring. But he also saw others spend years on movies they never finished, and the takeaway was a hard lesson he was fortunate enough not to have had to learn firsthand: Pre-production isproduction and winging it is a luxury for which low budgets do not allow. Jack went into Stray Bullets knowing that if you’re going to shoot a theatrical feature in 16 days, every minute on set/location has to count. “Every scene was storyboarded by my dad and myself in the weeks leading up to the shoot,” he explains. “That’s not to say that we didn’t change things on set—we were very flexible—but we allowed ourselves to be flexible because we had that framework in place, which also made to very easy to edit the film. Meticulous preparation also allowed Jack to juggle acting while directing—”even if I’m not a great actor, I know I can get the beats I want”—and deadline pressures that could easily rattle someone old enough to take the edge off by having a couple of drinks after wrap…like having just one day to shoot a complicated scene—the last full day of production—with quirky indie-legend Kevin Corrigan. Unsurprisingly, having completed three short movies and a feature before the age of 18, Fessenden is pretty sure he knows what he wants to be when he grows up. But he still intends to go to college, which some impatient young people might dismiss as a waste—four years is a long time when it’s a quarter of your life to date. A previous version of this article misstated the name of one of the actors in Stray Bullets — it is Kevin Corrigan, not Nick Corrigan. The previous version also misspelled the name of one of Larry Fessenden’s films. It isWendigo, not Windigo. 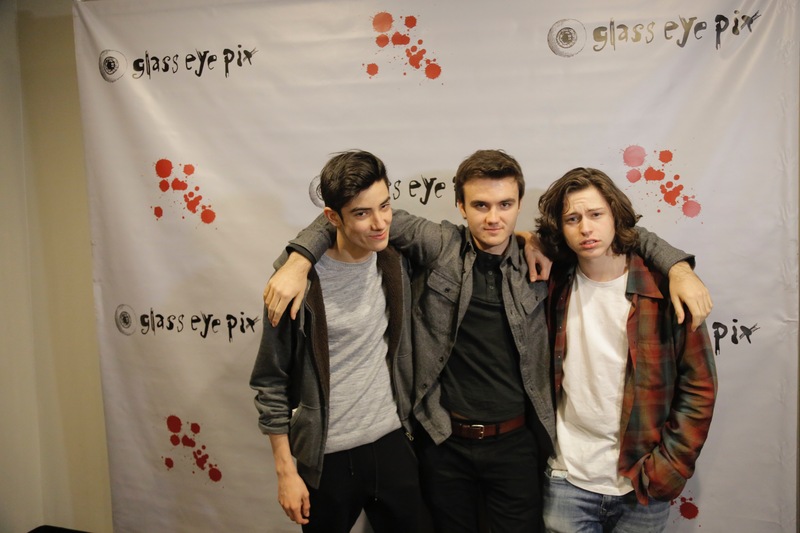 When most 16-year-olds might be focused on school, sports and dating, Jack Fessenden was writing and directing Friday’s “Stray Bullets,” his feature film debut. If that wasn’t enough, he also composed the score, edited and stars in the thriller as one of two teenage boys who crosses paths with a trio of gun-wielding thieves. 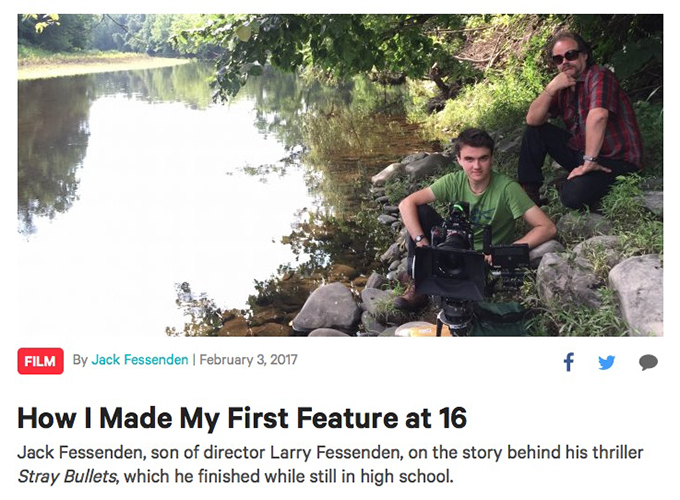 “Actually, I was 15 when I shot and edited the film and 16 when I finished it,” said Fessenden, now 17 and a high school junior. Growing up with both parents in the business made this almost inevitable. It wasn’t odd, Jack said, of giving orders to a bunch of adults, including his parents. With his dad celebrated for his horror outings as actor and filmmaker, Jack’s decision to make a mobster movie is surprising. He began “Stray Bullets” where he always starts: “With images in my head — locations, characters — before I have a story. Jack Fessenden always knew he would be a filmmaker. 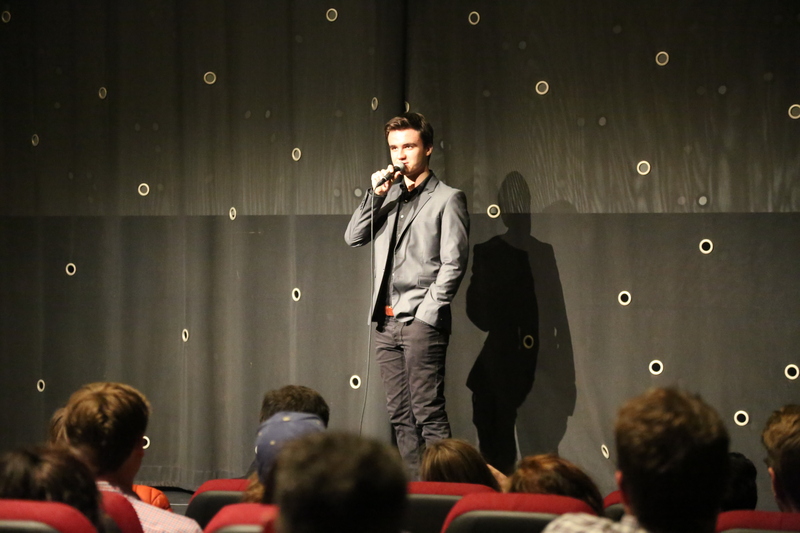 In 2013, he had his first exposure, screening his shorts at the Woodstock Film Festival. Jack Fessenden, son of director Larry Fessenden, on the story behind his thriller Stray Bullets, which he finished while still in high school. Ever since I started taking filmmaking more seriously at the age of 13, I hoped to make a movie like Stray Bullets. “It’s going to be my epic,” I thought to myself, picturing a grizzled Nick Damici leaning on a ’70s Cadillac, lighting a cigarette and squinting as he exhales into the sun-streaked sky of a warm summer evening, the only sound the tall grass whispering in the calm breeze. Nick Damici is, of course, the star and writer of Stake Land, a film produced by Glass Eye Pix, my dad’s production company. When I was 9 years old, I spent a substantial amount of time on the set of Stake Land, and since then Nick has been an overwhelmingly generous and kind advocate for my future as a filmmaker. Another image that frequented my consciousness was that of the Woodstock, New York-based writer-actor-musician Robert Burke Warren as an upstate cop at the wheel of his rickety patrol car driving two boys through country greenery. I also liked the idea of these same boys being held hostage somehow, so I fashioned a very spare narrative based around their capture in the basement of our house in upstate New York. All of this is to say that, in ruminating over my “epic” in those years of anticipation, I was inspired by places and people with which I was familiar, and always thought in terms of what I knew I would be able to achieve both creatively and practically. I suppose this is how I’ve been able to get away with all that I have at such a young age; I worked with what I knew was within reach when coming up with a story because, no matter how big you dream, the movie does ultimately need to get made, and for cheap. Not once did I let the fact that I was just a middle-schooler diminish my vision. In 2013, I finished Riding Shotgun, a tale of two teenagers and the struggles of their friendship in the face of a cold and desolate zombie apocalypse. I wrote, directed, edited, produced, scored and acted in the film, and that has been my model ever since. The film was 32 minutes long, so I was warned by the Woodstock Film Festival’s Meira Blaustein that it would be difficult to program into festivals. When she saw the film, though, she insisted on programming it in the festival somehow. After that, I collaborated with teenage friends on three more shorts: All for One, The Adults and Pranks. 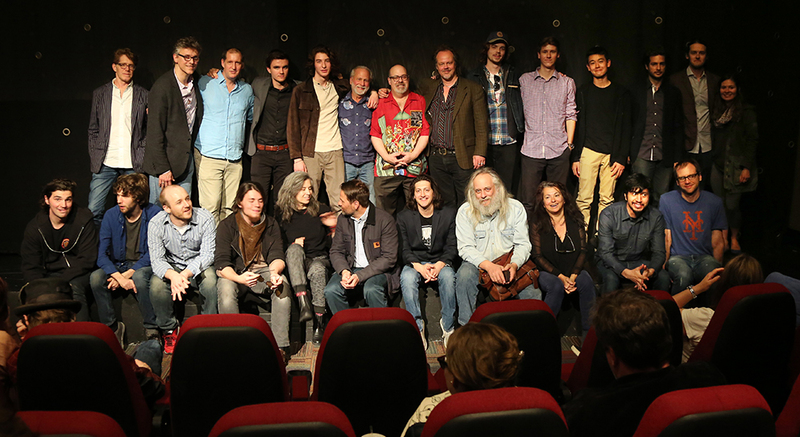 Two of these three shorts premiered at the Woodstock Film Festival. All the while, however, my “epic” permeated my subconscious … latent … lying in wait. It was exciting and mysterious when I gave myself the space to let it surface, but I knew I had to wait until I could do justice to a story of that caliber before I really started the work. In Summer 2014, I began outlining the story of Stray Bullets. At this point, I was planning for it it be not a feature, but rather a lengthy “short film” of roughly 45 minutes. As the story began to emerge on the page, however, it became clear to me that this movie had to be a feature. There was only one thing I needed to do before it was truly decided: break the news to my parents. Funnily enough, before I had the chance to do so, my mother said off-handedly, “Why don’t you just make it a feature?” So, that was that. I’ve known both James Le Gros and John Speredakos since I was a boy, having grown up visiting and helping on the set of my parents’ films. From John playing a tormented and murderous hunter in Wendigo, directed by my dad in 2000, to James stabbing a prosthetic hand that squirted blood into my eye in Bitter Feast, the memories have always been fond. I’d hoped that whatever film manifested from the various images floating in my head, John and James would be in it. Luckily enough, I got my wish. When I finished the first draft of a script in the spring of 2015, I sent it along to both of them and promptly received praise, encouragement and, most importantly, an agreement to participate. We shot for 16 days in July of 2015, though my memory blurs all sense of that time into one continuous state of activity – I remember the moments, but not where they began and ended. Morale was high throughout the shoot. Each night we would return to our house upstate where the crew stayed, and watch what became known amongst us as “The Daily Show.” It was during those evenings, as we sat huddled in front of the TV watching the rushes, that my movie came to life before my eyes. At the time, I think I was just thrilled at the quality of the material we were getting, but thinking back, it was quite emotional seeing everything come together so quickly after so much preparation. When I made Stray Bullets I did not make just one film, but three. The first was the one made up of the images that had been living in my head for all those years; the second, the film I saw unfolding before me as the footage from shooting poured in; and the third, the one that came into its own in the editing room – the only one anyone else will ever see. I can only hope that flawed manifestation of the original Stray Bullets will hold up as a film, as I know the memory and experience of Stray Bullets certainly will. New images are already beginning to percolate for another epic, but the rigors of junior year in high school may keep me from realizing them for a little while yet. ASA SPURLOCK, “Ash” – Asa Spurlock actively pursues an extensive range of interests, with art always at the core of his life. Asa serves as the Vice President for Onteora’s Student Government and is a co-representative to the District Board of Education. He is part of Harvard Model Congress and a founding member of Onteora’s Mock Trial team and Philosophy Club. Asa is an apprentice to David Wiebe, a concert violin maker, helping to make stringed instruments for clients around the world. At the same time, he built his own concert-quality violin and is currently building his own cello. 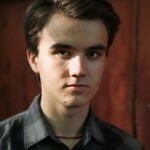 Asa is part of New Genesis Productions, a Shakespearean theatre company with which he has performed in over 13 plays. This spring, he played the lead role in Richard III for his final production with the company. Asa has also performed in a number of movies produced by an independent film company—FessyPix, including ALL FOR ONE (2014), and RIDING SHOTGUN (2013). Asa will continue his education at Wesleyan University. 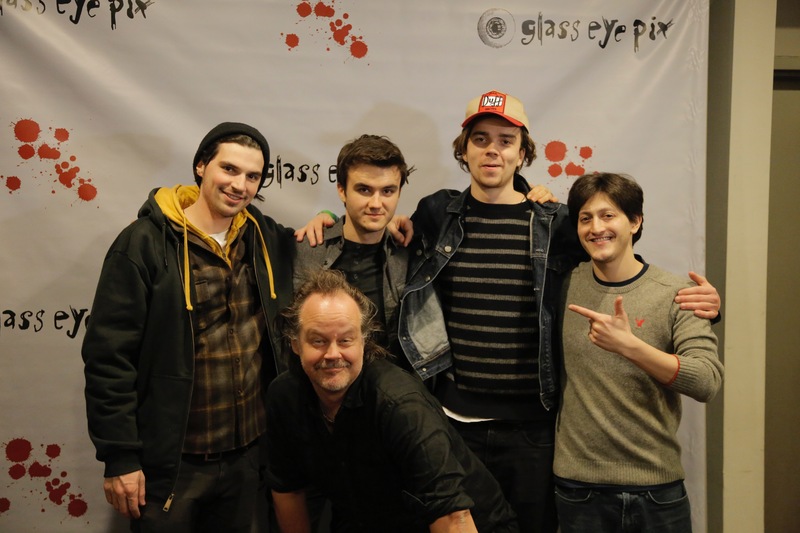 JACK FESSENDEN, “Connor” – Jack Fessenden grew up on the sets of Glass Eye Pix productions, his father’s indie-horror production company, and helping his mom in her stop-motion animation studio. 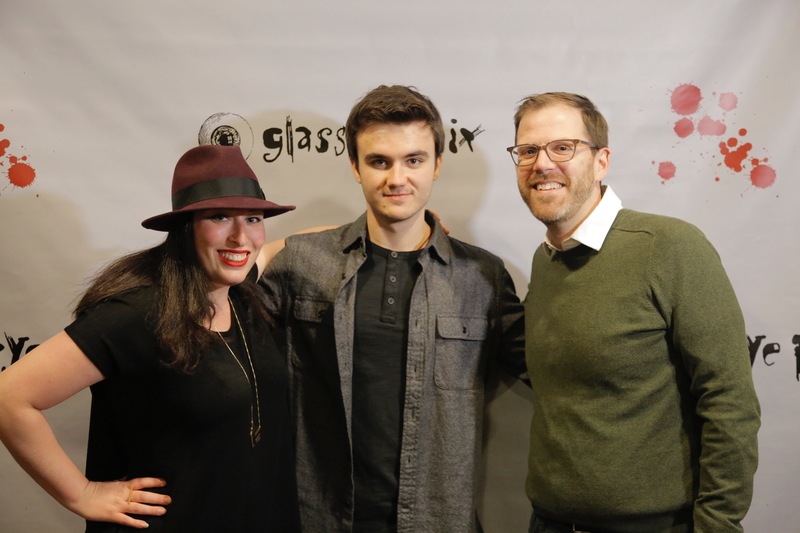 He appeared at three months old in father Fessenden’s WENDIGO, and also appears in the Glass Eye Pix films THE LAST WINTER, STAKE LAND and I SELL THE DEAD. Inspired by the creativity that surrounded him, Jack began to make little shorts with his friends at age seven, often acting in the productions. He appears in his own films RIDING SHOTGUN which premiered at the 2013 Woodstock Film Festival, ALL FOR ONE, and THE ADULTS which also premiered at Woodstock. JAMES LE GROS, “Cody” – A Minnesota native, he has appeared in some of the most celebrated American independent films of the last two decades, including DRUGSTORE COWBOY, LIVING IN OBLIVION, SAFE, and THE MYTH OF FINGERPRINTS; he has appeared in such genre fare as NEAR DARK, PHANTASM II, THE LAST WINTER, and ZODIAK. Le Gros appeared on Showtime’s Sleeper Cell and on Law & Order. He was also a cast member on the television show Ally McBeal and guest starred on ER, Roseanne, Punky Brewster, The Outer Limits (new series), Friends and the NBC series Mercy. 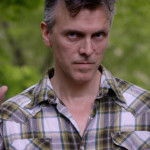 JOHN SPEREDAKOS, “Dutch” – John has done numerous collaborations with Larry Fessenden and Glass Eye Pix, having appeared in DARLING, BITTER FEAST, I SELL THE DEAD, WENDIGO, Ti West’s HOUSE OF THE DEVIL, THE ROOST, THE INNKEEPERS, briefly in Larry’s THE LAST WINTER, and has been casted for his voice talents on all 3 seasons of TALES FROM BEYOND THE PALE. Other film work includes INSIDE MAN (dir. Spike Lee), CAYMAN WENT, FANTASTIC FOUR, RULES OF ENGAGEMENT (dir. William Friedkin), SCHOOL TIES, JERSEY GIRL, TOWN DIARY, and THE TRADE. 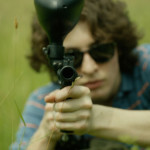 John plays a starring role in the indie film UNCONSCIOUS, directed by Brad Wigor. 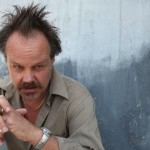 LARRY FESSENDEN, “Charlie” – has appeared in dozens of films including RIVER OF GRASS, I SELL THE DEAD, WENDY AND LUCY, BROKEN FLOWERS, THE BRAVE ONE, BRINGING OUT THE DEAD, STAKE LAND, IN A VALLEY OF VIOLENCE, WE ARE STILL HERE, YOU’RE NEXT and TV shows including LOUIE and THE STRAIN. 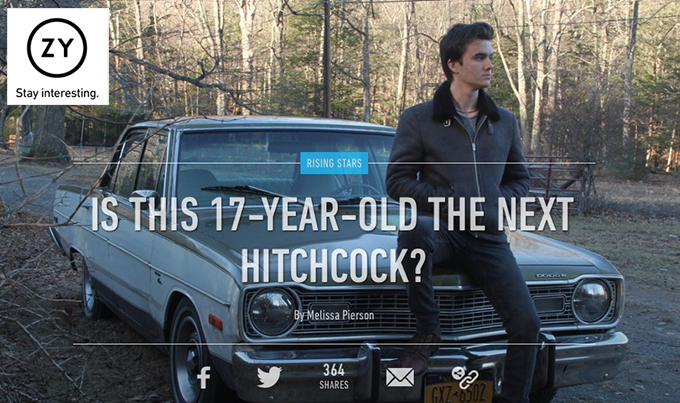 He appears in his son’s films RIDING SHOTGUN and THE ADULTS. 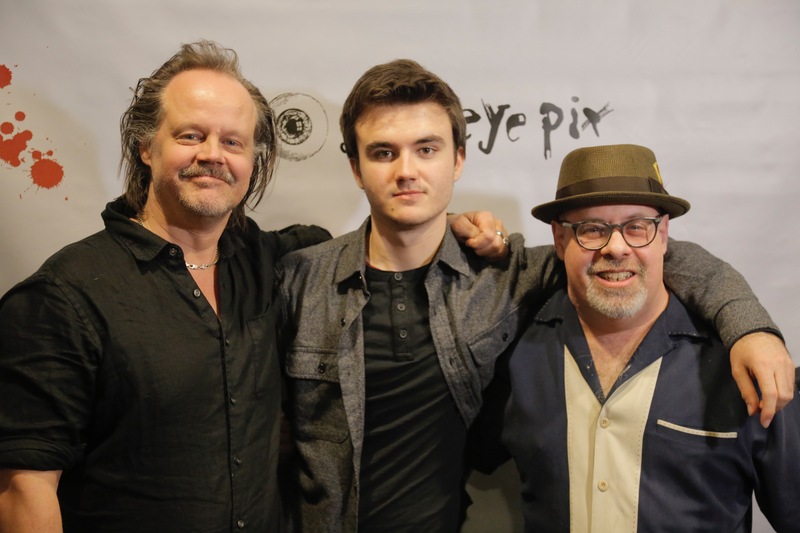 Fessenden is a director and producer and has operated Glass Eye Pix since 1985 with the mission of supporting individual voices in the arts. ROBERT BURKE WARREN, “J.T.” – Raised in Atlanta, Robert first tasted the performer’s life as a teenaged bassist for RuPaul, simultaneously studying acting at Northside School of the Performing Arts. After a brief sojourn in Athens, Ga., he moved to New York City, where he soon found work as bassman in globetrotting garage rockers The Fleshtones. He returned to acting in the early 90s, landing the role of Buddy Holly in the London West End and UK Tour of Buddy: The Buddy Holly Story. Returning to NYC, he recorded and self-released his debut CD, …to this day, which won raves in Billboard, The NY Times, and Mojo, and a spotlight on The World Cafe. He co-wrote a song with Rosanne Cash which appeared on her Grammy-nominated CD “Rules Of Travel,” and performed with and wrote songs for Rock & Roll Hall of Famer Wanda Jackson. In 2002, he moved to the Catskills to raise his son, gradually returning to performing, first as children’s entertainer Uncle Rock, then as an actor. He is also a writer. His first novel will be published by The Story Plant in February, 2016. 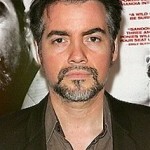 KEVIN CORRIGAN, “Nick” – A native of the Bronx, New York, Kevin Corrigan has been acting and writing since the age of 15. He made his film debut in Lost Angels (1989) and around that time, when he was just 17, his original play “The Boiler Room” was produced by the Young Playwrights Festival of New York. He has gone on to star in countless independent films and has made quite an impression. 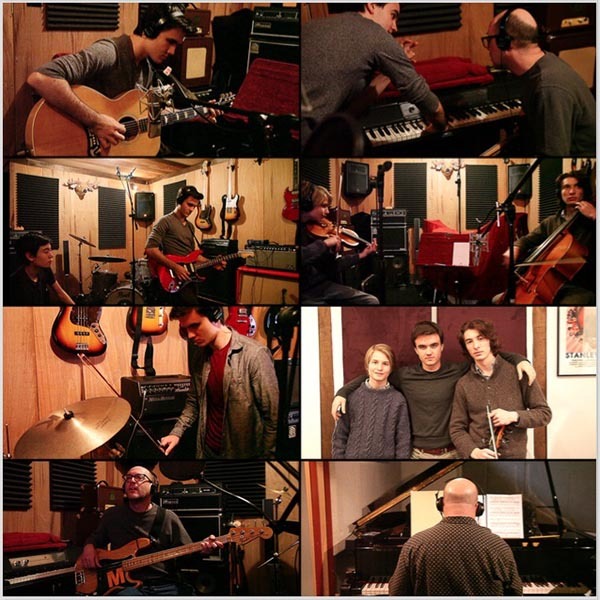 Corrigan is also an experienced guitarist and has played in several New York City bands. ROGER PELTZMAN – is an actor on Stray Bullets, a pianist and teacher in New York City. He has performed six solo concerts at Weill Hall at Carnegie Hall during the last 12 years. Roger has also played chamber music and solo repertoire at The Third Street Music School where he is a member of the faculty. 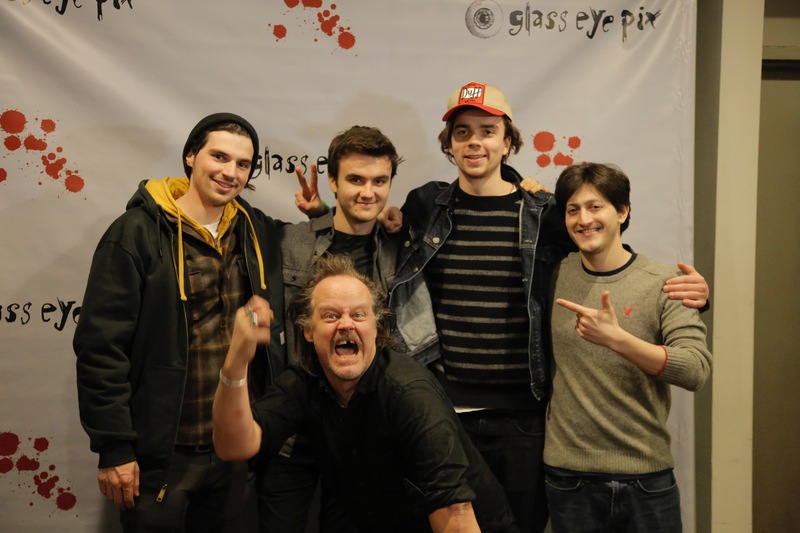 JACK FESSENDEN, Writer/Directer/Actor/Composer – Jack Fessenden grew up on the sets of Glass Eye Pix productions, his father’s indie-horror production company, and helping his mom in her stop-motion animation studio. Inspired by the creativity that surrounded him, Jack began to make little shorts with his friends at age seven. It was not until he was 13, however, that he started taking film more seriously as he began to write his first script, “Riding Shotgun”. Less than a year later, the film premiered at the 2013 Woodstock Film Festival. ‘Riding Shotgun’ was followed by “All For One”, “The Adults”, and “Pranks”, the latter two premiering at Woodstock as well. Jack’s films have used different genres to explore the complications of friendship in the face of adversity. Jack spends a lot of his time in Upstate New York, the setting of many of his films, and where many of his collaborators reside. He finished his first feature “Stray Bullets” in April 2016 at age 16. Jack firmly believes it is essential to understand all aspects of the filmmaking process, which is why he writes, directs, edits, produces, composes, and acts in almost all of his movies. That being said, he looks forward to alleviating some of those responsibilities when he is older so he can focus on directing, his true passion. Most of all, Jack is very grateful to have been afforded the opportunity to make films at such a young age, and can only hope he is making the most of his good fortune. 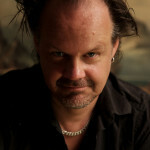 LARRY FESSENDEN, Producer/Cinematography – Is the director of the art-horror films NO TELLING, HABIT, WENDIGO, THE LAST WINTER and BENEATH. He is a producer on dozens of projects in and out of the horror genre including STAKE LAND, THE HOUSE OF THE DEVIL, I SELL THE DEAD, THE COMEDY, and WENDY AND LUCY as well as the audio series TALES FROM BEYOND THE PALE, created with the mad Irishman Glenn McQuaid. 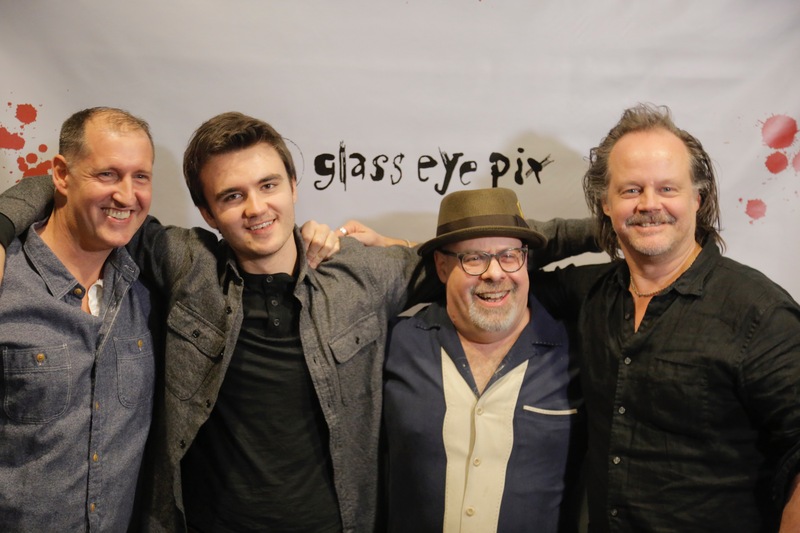 Fessenden has operated Glass Eye Pix since 1985 with the mission of supporting individual voices in the arts.